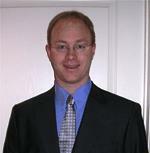 David McKenzie is a Senior Economist in the World Bank's Development Research Group. Prior to joining the World Bank in 2005, he was assistant professor of Economics at Stanford University (2001-05). He received his B.Com(Hons)/B.A. from the University of Auckland, New Zealand in 1997 and his Ph.D. in Economics from Yale University in 2001. He is also associate editor of the Journal of Development Economics. His specific areas of research interest include international migration, microenterprises, poverty traps, household responses to aggregate shocks, and the development of econometric methods useful for working with data from developing countries. He was one of the authors of the 2007 World Development Report, and is a co-principal investigator for the Pacific-Island New Zealand Migration Survey, and the Sri Lanka Microenterprise Survey. He has currently engaged in a prospective evaluation of the development impact of New Zealand's new seasonal worker program, is conducting surveys of brain drain and brain gain in several Pacific Islands, and is advising both the World Bank and the Global Development Network on survey methodologies for surveying migrants and their families. David McKenzie joined CReAM as an external fellow in July 2008.